What is Ron doing today??? 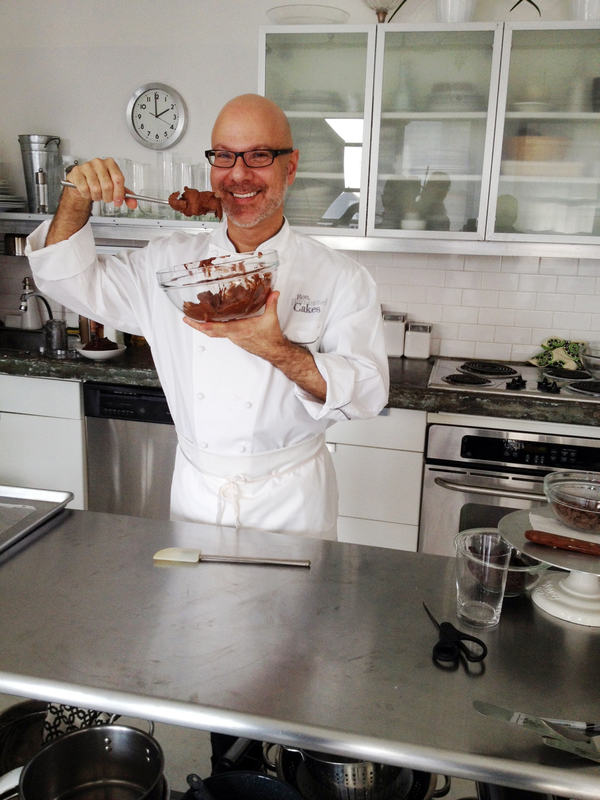 Ron is on location photographing a “how to bake” story for the Food Network Magazine. He will be featured in the early spring issue. What is he making? It’s his own chocolate cake recipe that has made him and his wedding cakes famous. Of course I will let you know when the magazine is out. It’s a great recipe and he can’t wait to share it with all of you! Ron is on location baking his Monday away!!! Fabulous! Can’t wait to see the magazine. I see that Ron is rocking the bearded look! Great!!! Can’t wait to see the magazine. Looking good, Ron! It’s very generous of you to share that recipe. Thanks and can’t wait for the magazine. SWEET! Can’t wait everything he does is Genius. That sounds great. Except that we don’t get that magazine here in S.A. Is there any chance that we’ll find that recipe here later on? I am so on pins and needles! Who would have guesses that a small town Wal-Mart store would stock a shelf full of the Food Network magazines? Yes, it is the chocolate issue! The maestro of cakes was looking very resplendent in his chef’s attire. I am definitely going to use Ron’s chocolate cake recipe for my husband on Valentine’s day. Thank you so much Ron and Cake Girl! Who would have guessed that a small town Wal-Mart store would stock a shelf full of the Food Network magazines? Yes, it is the chocolate issue! The maestro of cakes was looking very resplendent in his chef’s attire. I am definitely going to use Ron’s chocolate cake recipe for my husband on Valentine’s day. Thank you so much Ron and Cake Girl!